During highschool and college I did landscaping work for a small business owner in my hometown. I’d characterize my boss at the time as a workaholic. We start work before daylight and end well after dark. The job wasn’t always fun but I learned a lot and it was a great way to earn spending money for the rest of the year. The job taught me the value of hard work, manual labor, sweat and perseverance. One of my boss’s favorite sayings was “Plan your work and work your plan”. At the time I didn’t think much of it but as I’ve matured over the years I’ve gained a greater appreciation for those words and now I take them to heart. 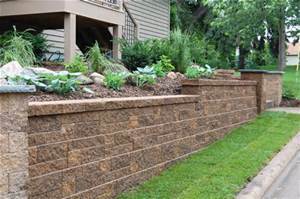 We built a lot of retaining walls either from railroad ties or concrete blocks. We rarely had an architectural plan, instead we would survey the area in which we were working, find the lowest point and then begin shoveling to build the base layer. The base layer is the most important when building a wall because a level, straight base layer meant a level and straight wall. Every time we completed the base layer my boss would say, “plan your work and work your plan”. He was reinforcing both the importance of the base layer and the importance of planing your work which meant having the right amount of material for the wall and the right tools to do the work. I approach most days with the mindset of planning my work and working my plan if I didn’t, I don’t know how I’d make it through. Time is a precious commodity and I’m guessing that no one reading this blog believes they have too much time on their hands but we tend to sabotage ourselves when it comes to time. Knowing your priorities for the day helps to ensure that you get them done. Do you ever hit snooze three or four times in the morning? If you do does your day start to slip away? I know it does for me. Do you ever put something simple like laundry off only to be confronted with 5 loads that have to be done at one time. We can be our own worst enemies and we can be our greatest reason for success. Thanks Craig! I agree time management is imperative to a smooth running day… I will be borrowing that motto to share with staff.